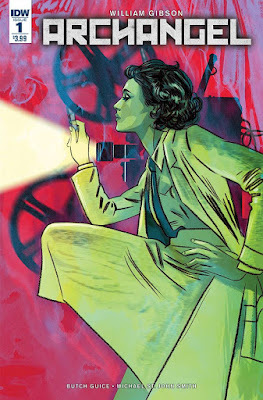 So... we really like Tula Lotay in general here. All it takes is a look at just a few of her covers to see why. 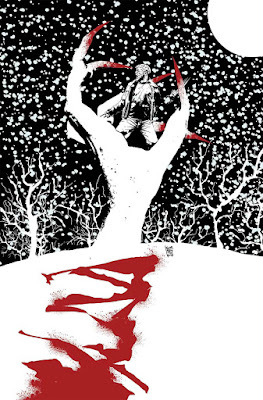 This cover for Archangel, for instance. Simple, evocative imagery - the shadowy projector, the beam of light - combine with surreal colors and a character with intense physical personality. 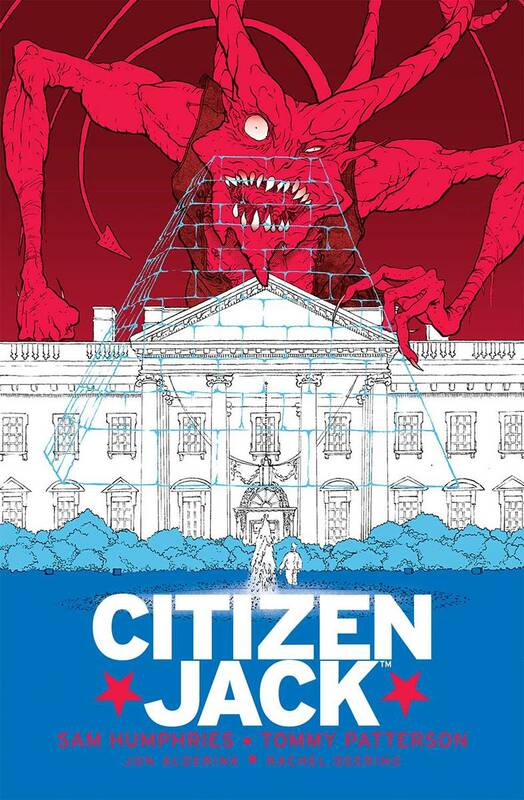 I know nothing about Citizen Jack, but this cover, from Tommy Patterson and Dylan Todd, tells me everything I need to know. 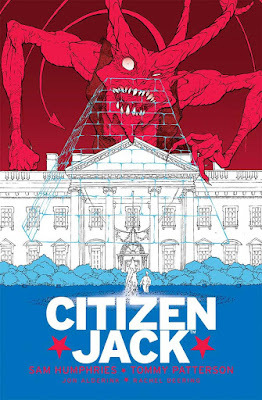 Evil, politics, and conspiracies, elegantly paired with an evocative American flag color palette. Normally, a 'character staring at me' cover doesn't grab me, but Ulises Farinas nails it here. 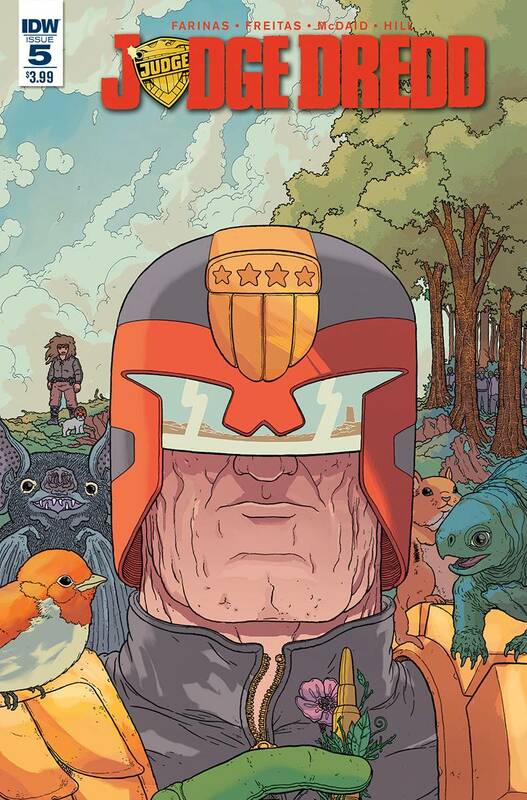 The lighter, earthier colors, the fluffy animals, the gorgeous day, all surrounding Dredd's craggy face? It's not immediately eye-catching, but it's more of a grower than a shower. Most of these covers - most covers, it seems - tend to heavily use warmer colors, or to rely on minimalism. 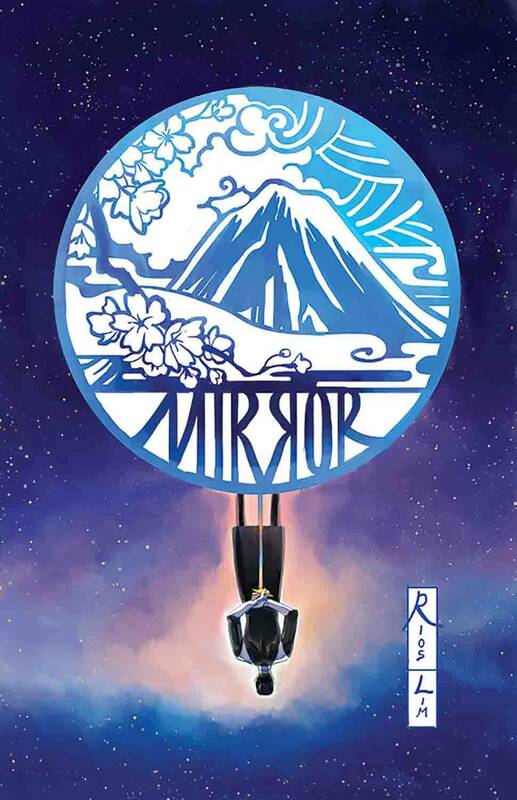 Hwei Lim's cover for Mirror #4 relies on blues, purples, and pastels offset by white, creating a dreamy, fantastical look that highlights the immaculately-designed blue-and-white logo in the middle. 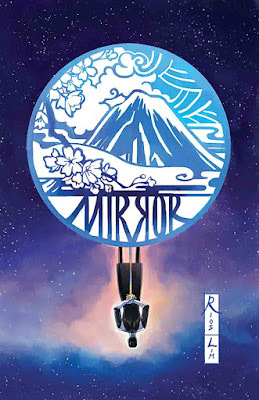 Mirror #4 feels like an oasis on the shelves. David Mack's take on the minimalist red-white-and-black cover uses the negative space flawlessly, making the red and black feel like calligraphy brushstrokes on a bare canvas. 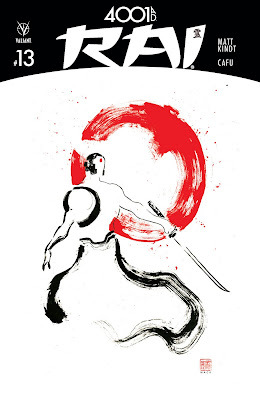 Very evocative of the title's Japanese setting, an eye-catchingly elegant cover. Finally, we have Alex Maleev's cover for Scarlet, which takes the red-white-and-black minimalist look and decides to highlight the black, turning lead character Scarlet into target practice. 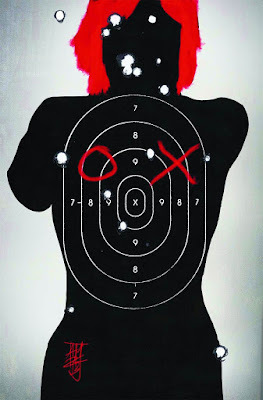 But it also manages to anonymize her, stripping her of her personhood and turning her into a target for the police. Like a lot of great covers, it shows you what the book is about without telling you what the book is about. As with the Old Man Logan, cover, though... this one clearly wasn't designed with the title, barcode, and credits in mind. 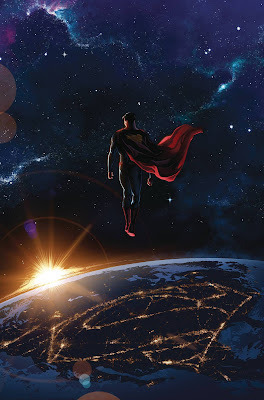 I've seen a hundred variations on this sort of cover, but Superman: American Alien manages to find a novel take on it. The muted colors, relying on blues and purples,the S-shield on the lighting grid, the focus on the stars rather than the setting sun... it's a melancholy take on a classic cover. Fresh off the gorgeous Wonder Woman: Earth One, Paquette brings us a cover that manages to combine the image of Atlas with gorgeous sun-god imagery. The yellows and oranges feel warmer, more supportive than the hostile reds that dominate the covers above. 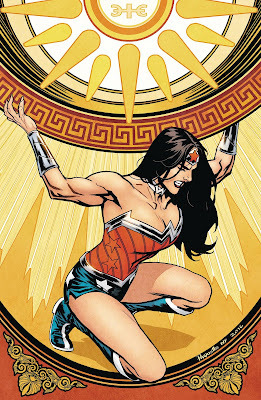 And Paquette's Wonder Woman looks strong, here, grit teeth and realistic muscles.